The freeware Sydney Airport (YSSY) photo scenery for X-Plane 10 has been updated to version 1.2. Taxi2Gate has posted new preview pictures from the upcoming Asunción Paraguay Airport (SGAS) scenery for FSX. LatinVFR has posted FSX Preview 2 & FSX Preview 3 from the Bermuda L.F. Wade International Airport (TXKF) scenery. Flight One Software is currently offering $5.00 off the Cessna 162 SkyCatcher for FSX. Valid until August 15th 2012. Carenado has posted interior day and night pictures from the soon to be released Cessna CT182T Skylane G1000 for FSX. 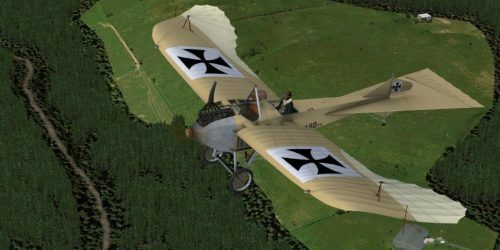 Alabeo has posted first livery previews from the upcoming WACO Classic YMF biplane for FSX. Aerosoft has posted the first preview pictures from the upcoming Saarbrücken Airport (EDDR) scenery for FSX. The International X-Plane Engineering Group has posted another preview teaser from the 737-300 for X-Plane. Ramzzess has posted this start-up tutorial video from the soon to be released Boeing 777-200LR for X-Plane 10. Philipp Münzel has posted FMS Preview Part 5 from the soon to be released Ramzzess Boeing 777-200LR for X-Plane 10. LatinVFR has posted more previews from Bermuda L.F. Wade International Airport (TXKF) for FSX and FS2004. Precision Manuals Development Group has released the printed manuals for the upcoming PMDG Boeing 777-200. Carenado has posted more exterior pictures from the soon to be released Cessna CT182T Skylane G1000 for FSX. Blue Sky Scenery has released the freeware Grand Teton National Park, Jackson Hole (KJAC) photo scenery for FSX. Aerosoft has posted more previews here and here from the upcoming Aerosoft Heraklion Intl. Airport (LGIR) for FSX. New work in progress screenshots have been posted from the upcoming Aerosoft Airbus X Extended for FSX. - Accurate representation of the real Airport using more than 1000 photos taken at site when building the 3D models. - Aerial picture for the airport ground with detail layers. - Near surroundings of the airport with aerial picture, landclasses, autogen and edited roads, lakes, rivers to perfectly blend to the default terrain. X-Plane Flight School has added the lesson X-IFR 10 - Chart & Plate Interpretation in the X-Plane.org Forums. Paulo Ricardo has posted this teaser video from the upcoming Rio de Janeiro 2012 photo scenery for FSX. Classic Wings have released the freeware Jeannin Taube for FSX. Available to download at the Classic Wings Website. Visualize HD have released their first scenery product Colonsay Airport (EGEY) for FSX. Available at SimMarket. 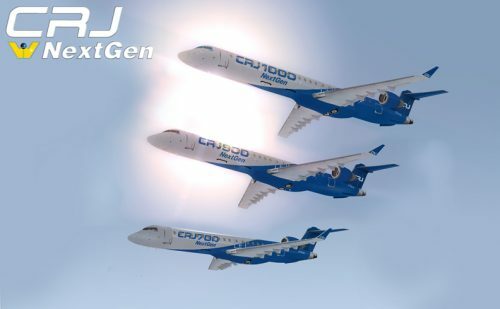 The Wilco Publishing Bombardier CRJ NextGen Series for FSX is now also available to purchase at SimMarket. The Dawson Designs and Virtavia Boeing C-17 Globemaster III for X-Plane 9 and X-Plane 10 is now also at SimMarket. John Venema from Orbx has posted this preview video of PeopleFlow 2 and announced CreatureFlow animals and insects. Pacific Islands Simulation has posted new previews from Jeju International Airport (RKPC) for FSX and Prepar3D. Samdim has added three more previews from the upcoming Majestic Software Bombardier Dash 8 Q400 for FSX. MilViz has posted more preview screenshots from the upcoming Northrop T-38C Talon for FSX. HiFi Technologies is currently offering a 30% discount on Active Sky 2012 for FSX. Offer valid through August 31st 2012. The freeware weather add-on FSrealWX for FSX and FS2004 has been updated to development version 1.05.1427. TFDi Design has announced development of the Boeing 717-200 for FSX. More information in the TFDi Forums. Skysoft Simulation has posted more preview screenshots from the freeware Nantong Xingdong Airport (ZSNT) for FS2004. Drzewiecki Design has posted more screenshots from the upcoming FSX version of the Warsaw City 2012 scenery. Carenado has released the Cessna C208B Grand Caravan for FS2004. Details and purchase at the Product Page. - Pop up C208B Grand Caravan manual with normal and emergency Checklist. - Realistic night lights effect on virtual cockpit. - Animated sections such as: propeller, doors, windows, sun visors, copilot seat and pilot. - 3D modeled pilot, cockpit area and passenger cabin area.